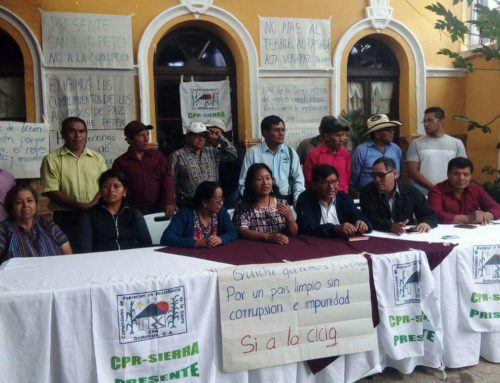 The following is a translated statement made by the Maya Q’eqchi’ authorities from Los Copones, Ixcán on August 13, 2016, to mark the third anniversary of the State recognition of their rights as indigenous peoples. 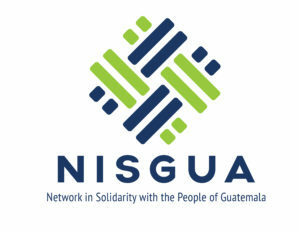 NISGUA, through ACOGUATE, has accompanied many community members from Los Copones since 2006, as they have spoken out against the construction of the Xalalá hydroelectric project. On this day, August 13th of 2016, we celebrate the third anniversary of our public and legal recognition as Indigenous Q’eqchi’ Communities and Ancestral Authorities. We send regards to all the families of different peoples living with us in the territory of the Ixcán, and wish to express the importance of uniting together in struggle, to propose that state institutions respect our right to live in our territory, and our right to think and act in the way that we have inherited from our grandfathers and grandmothers. 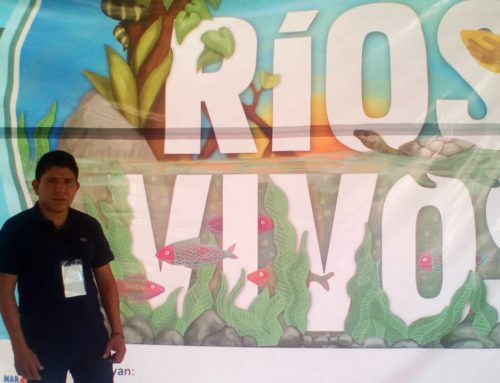 As indigenous peoples we should not be afraid to speak up for our rights, inasmuch as our rights are supported by current laws, such as the Constitution of Guatemala, the International Labor Organization’s Convention 169, the UN Declaration on the Rights of Indigenous Peoples, municipal code and others. We are conscious that our struggle as Indigenous Peoples has been long and hard. Many of our brothers and sisters gave their lives to reach the Peace Accord on the Identity and Rights of Indigenous Peoples. Many brothers and sisters have been jailed for defending their territory. Our authorities have been accused of usurping roles and violating human rights when we impart justice. Civil servants are discriminatory and racist towards us and try to deny or minimize our rights as native peoples. Health bodies at the state level disregard the knowledge and importance of the work of our traditional midwives. Despite 500 years of the oppressive system’s exploitation, racism and discrimination, our Peoples have survived, preserving the languages, agricultural knowledge, and values, legal and political systems. Today, our communities and indigenous authorities all over the country are rising up to defend our land, territory, and autonomy. 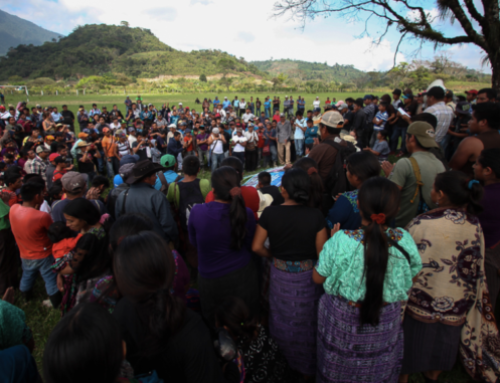 The Indigenous Q’eqchi’ Communities of Los Copones reiterate our commitment to push forward in this struggle to rebuild and rescue our cultural identity and rights to ancestral lands. We continue with the struggle to defend water, land, territory, and life, for the safety and wellbeing of our families. We know the importance of continuing in the struggle until our ancestral authorities gain the respect they deserve for their contributions to society in the social realm and in the administering of justice, based on [a deep understanding of] our own ways of organizing. 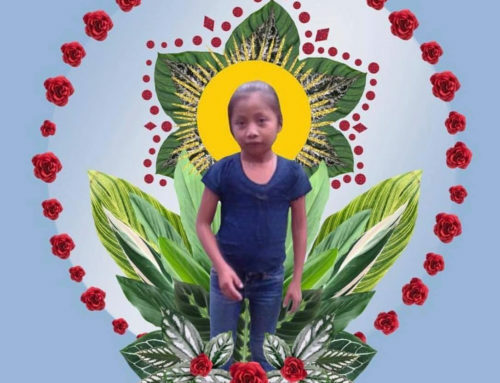 We send regards to our brothers in Huehuetenango that were freed, demonstrating that their only crime was defending the life and territory of the Q’anjob’al People; to the Q’eqchi’ brothers of Chisec, Raxruja’, Monte Olivo, Cahabón, Sayaxche’ and other municipalities that have maintained their organization and resistance in the face of palm oil and hydroelectric companies; to the brothers and sisters that marched from the four cardinal points of Guatemala during the March for Water and Land to demand that the companies that are contaminating our rivers and altering their course be held accountable. We call on our brothers and sisters from neighboring municipalities and Peoples to not see us as different, because the battle that we are waging to rebuild our Maya Q’eqchi’ identity is also a battle to [open space] for you. The struggle that we have begun for state recognition of our ancestral right to the land is a legitimate one. A hundred years ago, the government arbitrarily ordered that other people be given title to our lands – [despite the fact that] our grandfathers and grandmothers are buried in this territory. Therefore, we, as their daughters and sons, have armed ourselves with courage to demand that the state of Guatemala reverse their actions, which have caused much harm in our lives and in the lives of our ancestors. Our struggle is a just one. Our sons and daughters deserve to live in harmony with the mother earth, on our ancestral lands. That the Constitutional Court promptly and fairly resolves the appeal that has been filed, and recognizes our ancestral rights to the land. 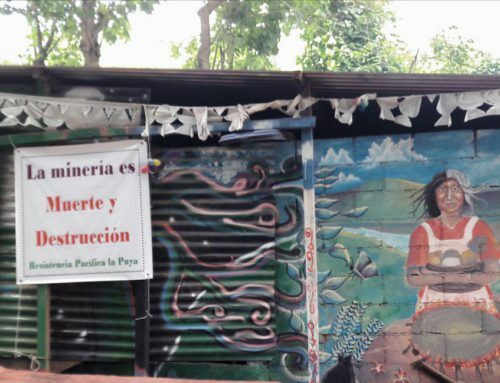 That the National Electrification Institute (INDE) and the Ministry of Energy and Mines permanently cancel the Xalalá hydroelectric project. That the President’s Office of Human Rights and the Committee on the Elimination of Racial Discrimination in Guatemala monitor and intervene in light of the abuses that indigenous Q’eqchi’ communities are subject to when we fill out paperwork and birth registrations in the Ixcán headquarters of the National Registry of Persons. That the directors and subdirectors of Health and of Education in the municipality of Ixcán train and instruct their employees to respect our identity, and that they promote our rights to strengthen our own organization of Indigenous Q’eqchi’ Communities in this region as it appears in the Municipal accord 037-2013. That the Honorable Municipal Counsel of Ixcán, primarily the Mayor, comply with their obligation to respect, promote and publicize the existence of the Indigenous Q’eqchi’ Communities of Los Copones in public activities and spaces, like in the assemblies of the Municipal Counsel of Development towards the respect and inclusion of our ancestral authorities and that they notify the National Institute of Statistics. That the headquarters of the justice system in Ixcán and the state justice bodies respect and value the contributions of our ancestral authorities in cases of familial difficulties within our communities, inasmuch as they impart justice with responsibility, based on our ancestral ways of organizing, using the wisdom and teachings of our grandfathers and grandmothers. We make very clear that lynching is not our practice. In other words, it has no place in the administration of ancestral justice in our communities. That the coordinators and directors of all state bodies with a presence in our municipality – primarily those that manage programs and projects of material aid or social benefit – respect us and coordinate with our ancestral authorities without pressuring them. We have rights to access the municipal and state budget – like any other community. We are citizens in this state called Guatemala.